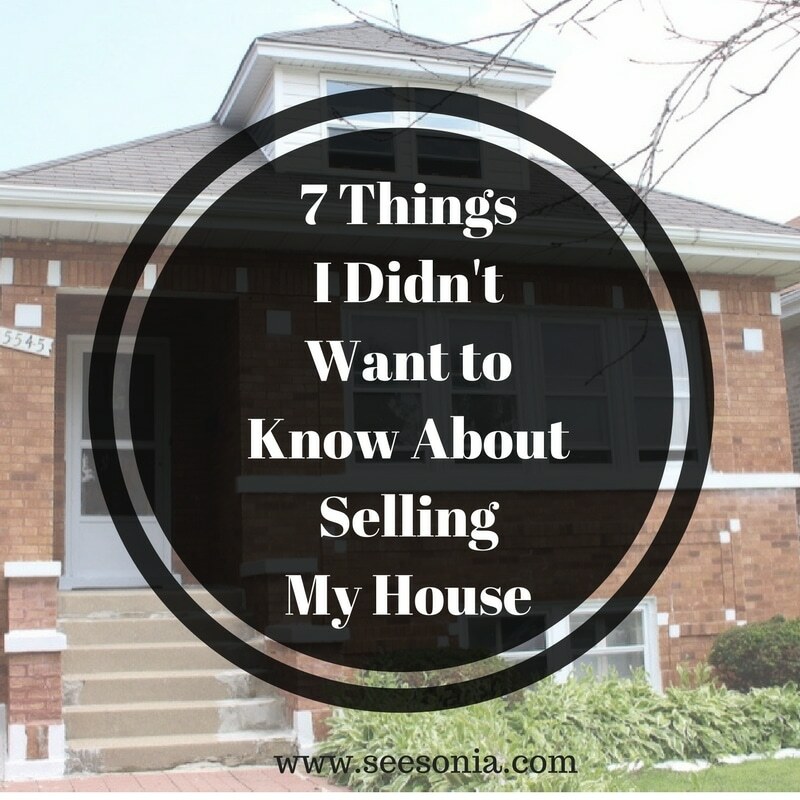 There are tons of articles and blog post out there about “how to sell my house” but what happens when I just need to know straight up the awkward things. The all those items in general that you don’t want to hear but you really just need to know. Hmmm say what? After wrapping up my 30 day home selling series on Facebook Live and Periscope, I discovered things that people didn’t want to hear about selling their house. I had a client once tell me he wanted to know just the bad and the ugly about selling his house. He had raised his kids, got married, his wife passed away and was now retired. The house was way to big to maintain and he wanted out! He didn’t care about hearing of the good things such as getting his money at closing. He just wanted to know what headaches he would have when it came to selling his home after living there for over 35 years. 1. Are you really ready? So this question sounds dumb but it’s really not. It sometimes hurts to know that you have to start a new life somewhere else or that you might just be losing your house to a foreclosure. You might be in a circumstance of divorce and you have to start all over again. You also just might be in the scenario above, where you have been in your home for many years and now it’s time to just move on. If you are not going through any type of hardship and want to move elsewhere “just because” then ask yourself, is it really worth me going through the hassle of getting the movers, dealing with real estate agents, attorney’s, buyers coming in and out of my home, dealing with appraisers, and the overall stress of having to move every single item down to the last dish out of your home? Be mentally and emotionally prepared if you are moving forward. Once you figure out if you are truly ready to sell and let go of your home then you must ask yourself do I want to do this on my own or hire someone? Now if you decide that you want to go solo then you are in store for some other things you didn’t want to hear for one sellers find it hard to list their property and generate responses because they cannot list the house in the MLS (multiple listing service). Only licensed real estate agents can list in these. As a result there is not much response generated in the house. Another problem with for sale by owner’s is that the property tends to be overpriced because most sellers don’t go by what has sold in the area but only by what they think their house is worth. Now the truth about hiring a realtor is that you have to deal with there personality and marketing tactics and as you know not all agents are built equally make sure he/she is a fit for you because some of them can be over the top. When you figure out if you want to do this on your own or hire a realtor, truthfully what sells your home aside from the aesthetics is price. As much as you want your house to sell over a million plus please be realistic. For example: if property prices by you have sold between $350,000 – $325,000 then by pricing your property on the lower end of the value range, you could stimulate interest among more than one buyer and create a herd mentality. Also, if you’re under the gun to sell quickly, this would be a good option. Don’t get fancy and list your home for $377,777 – seriously that just doesn’t make any sense. Mostly all home buyers will get a home inspection so just be ready and don’t act surprised when you get a 30 item repair list. As a homeowner up keep on the home is imperative. If you go to a car dealership and you don’t want to buy a brand new car you buy a used one. There is a certainty that the car can break down at some point. The dealership gives you a warranty but there is not guarantee the motor will fail or that something could break. However you do have the option to take it to a mechanic to check out the car onsite. If that mechanic tells you that this car has a list of items that need to be repaired then you will hold the dealership accountable for this and ask for it to be repaired. Be upfront with yourself and if you know that the furnace will breakdown tomorrow then fix it otherwise that home inspector will find it for you. 5. It’s not moving- Why? There comes a time when you see a property on the market for over 180 days you might ask why? This simply goes back to price, condition and location. If a home is on the market for a really long time then you must drop that price. The market is telling you that your property is really not worth the price you want. This usually correlates with location. Do you have gangbangers hanging outside your block? Are there boarded up homes? Have the neighbors been keeping up with their lawns? All of these items are deterrents to home buyers and you will have to just keep reducing that price until you get the right buyer or investor that just wants to hold on to your home and rent it out. As the saying goes “it is what is is”. Also remember that the condition of your home takes a big role on how quickly it will sell. Does your home smell like cigarette smoke? Do you have projects halfway done where you see the drywall? Do you have a hoarder home? There will be times where you might get a low ball offer and as a seller you will get offended. The buyer’s intention is not to offend you but to get a discount or deal on the price and believe it or not this also has to do with culture. Lot’s of people don’t think about nationalities and the way their culture is. You naturally just get upset because you are emotionally tied to the property but take a step back and breathe. In some countries it is offensive not to be able to haggle. Southeast Asia – Losing face is embarrassing for both parties in haggling. Always smile when asking for the extra low price and the vendors recognize that you are at ease and just want to do business. Egypt and Tunisia – The vendors tend to be a bit more aggressive here and straight to the point – so showing no smile (alike a poker face) reveals that you mean business, and won’t be taken for a fool. This can save you a lot of time. Vietnam – Start in a smile, but usually the haggling will resort to shouting. Always feed off your haggler’s energy, so if they start shouting; give them a taste of their own medicine. It’s all part of the process. Lastly if you really want to sell your home then give the proper access. I have seen countless seller’s that have so many restrictions on access that I ask myself why are you selling it if we can’t get in. If you have pets make arrangements to assure they are not going to be in the property at the time of the showing. A showing can take between 5-15 minutes. If you are working then allow for a lockbox to be added to the home for easier access. If you are worried about security then have certain hours in which you will be home to open the door but make it accommodating for those that work day shift or night shift. Allow your home to be shown during weekdays. Not everyone is off on weekends. You definitely will have several people walking through your home day in and day out make sure you are comfortable with this if you are not home. If you prefer to be home than stay out of the way while the home is being seen. Step outside or go walk the dog so that the buyer may feel comfortable walking through and not feel like your are hovering over them. If you need a second opinion on selling you home feel free to contact me it’s absolutely free and you can have peace of mind.